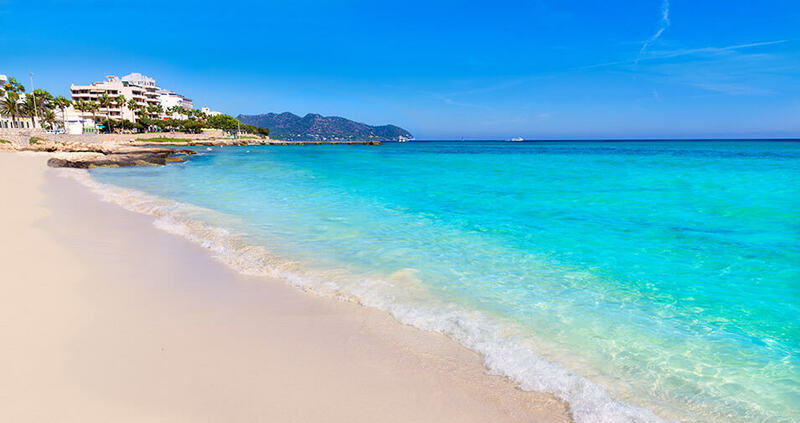 CALA MILLOR’s wide range of quality accommodation, shops, services, attractions, scenery and the safe, tranquil nature of the area makes it ideal for families with small children and more mature holidaymakers. It is a magnificent holiday resort that attracts thousands of visitors, many of whom return year after year, generation after generation, proving its unquestionable attraction. Environmental management, the beauty and cleanliness of its waters and its modern infrastructure have led it to be awarded the Blue Flag in recent years. Cala Millor Beach also has the Integrated Tourism Quality System (SICTED) seal of approval awarded by the Ministry of Tourism and Sport. Visitors can download an app with information about the weather, the environment, services and safety advice. Shopping. A one-kilometre-long pedestrian street runs from one end of Cala Millor to the other. It has shops selling international clothing brands, jewellers, boutiques, perfumeries, souvenir, shoe and sports clothing shops, many bars and restaurants, ice cream parlours, etc. The Local Population. The residential areas of flats and houses are mainly in the municipality of Son Servera.